The ham is deeper red with a whiter fat and is more savory than its Parma counterpart. As opposed to Parma prosciutto, the entire leg of San Daniele is cured, not just the thigh. We bring in our San Daniele when it s best aged, from 18-20 months. 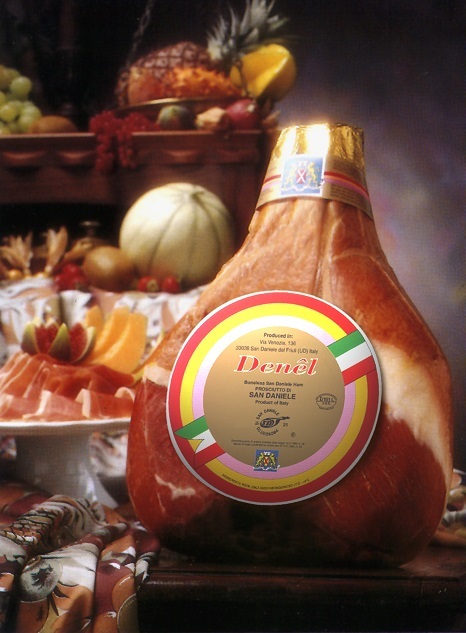 This Ham is made solely of the meat of pigs born and bred in Italy and sea salt. It is a natural food product with no additives or preservatives of any kind. Its high nutritional value and ease of digestion make it suitable for any type of diet.